I think it is time I spilled the beans on something. I have been struggling a bit with how this secret will be a part of my life here on Imperfect Polish, and I still have no answers. So I thought the best way to share it was to show how even with this secret, my life and this blog will still be about everything I love in beauty, home, travel and fashion. And maybe just a bit about how those aspects of my life might change in about four months. So far, it has drastically changed my wardrobe choices, but luckily I have some great pieces that are classic and perfect for Fall. So yes... I am expecting. The little guy is due in March and I am beyond excited. Putting it out there in the cyber-universe is a bit scary, but I love my readers and know that it was time to share. 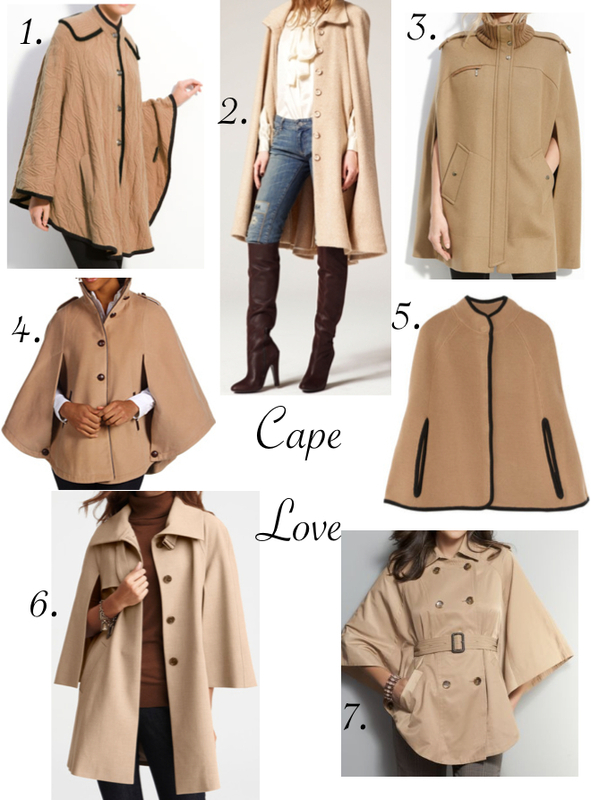 Expecting or not, camel capes are kind of my favorite thing right now. Great for expanding waist lines, but really perfect for anyone looking to warm up a bit and channel Jackie O circa 1978. So now you know my secret and why my fashion choices might be a bit roomier and possibly stretchy, but I am trying my hardest to stay as chic as possible. But as Rachel Zoe said on her show when 8 months pregnant, "I am really testing the limits of my zippers..." And that is a serious understatement. Erin, congratulations - how exciting! I can't wait to follow along your blog as you give it a (fashionable I'm sure) pregnancy twist. CONGRATS!